This is the former site, dating from the 13th century, of the Hôtel de Clairvaux, built for the monks of the well-known Cistercian abbey founded in 1115 by Saint Bernard, 50 km from Troyes. But the Hundred Years War and then the expansion of Protestantism in the 16th century took their toll on the Orders that professed poverty and manual labour. Later, the great fire of 1524 decimated the Hôtel de Clairvaux. 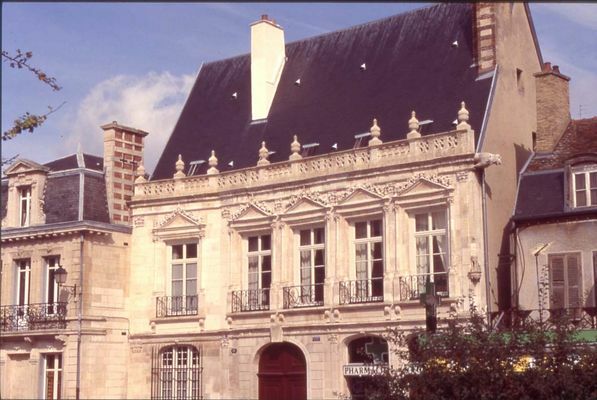 Nicolas Largentier, from a big family of Troyen dyers, rebuilt it and gave it the name of his castle of Chapelaines (Marne). This magnificent Renaissance-style ensemble has a non-rectilinear façade with finely worked windows, under an open-work balustrade with fire goblets. Illustrious guests have stayed there, such as Louis XIII in 1629, the Austrian Emperor. There is no review about Hôtel De Chapelaines, be the first to leave one !